Designed specifically for use by law enforcement, the Mechanix Wear M-Pact Fingerless Impact-Resistant Gloves provide protection against impact without compromising on tactile control. This is achieved through a fingerless design with knuckle guard and impact-absorbing palm padding. Aside from use in law enforcement, these gloves also provide protection suitable for maintenance, electrical work, equipment operation, DIY and an array of other applications. 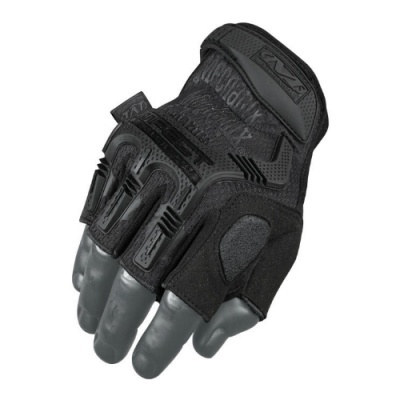 The Mechanix Fingerless Impact-Resistant Gloves are available in sizes Medium, Large and Extra Large. 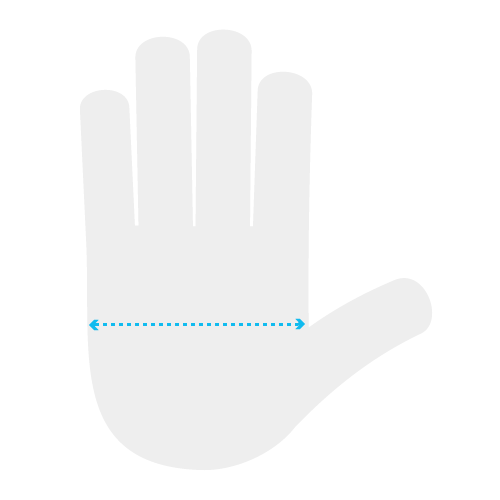 Please measure your finger length from your thumb crotch to the tip of your middle finger, and your palm width at the widest point (as shown below), then refer to the sizing details in the table below. 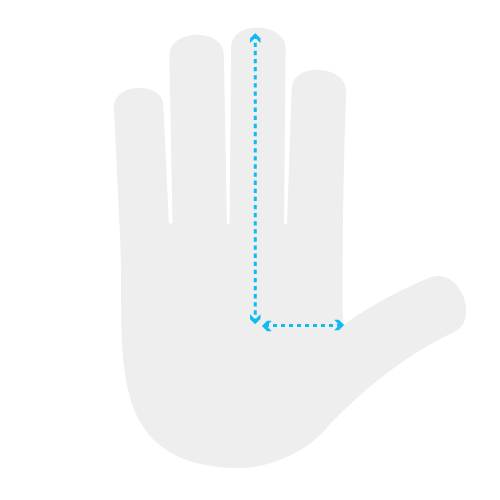 If your measurements fall between two sizes, we recommend choosing the smaller of the two for a snug fit.